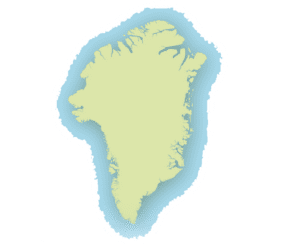 Greenland is the world’s largest island (2.166.086 km2). With a population of roughly 57.000, it is the least densely populated country in the world. 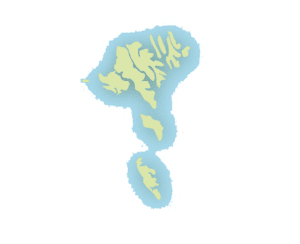 The greenlandic name Kalaallit Nunaat means “land of people”. The north coast of Greenland is 710 km from the North Pole. Approximately 85% of the land is covered by ice. The huge ice sheet and the suprisingly low precipitation in large areas are reasons why Greenland has the third largest desert area in the world. The towns and settlements are free of ice during the summer time. 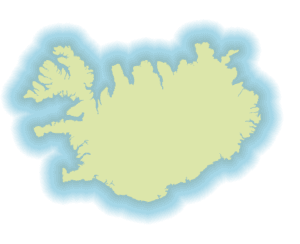 Geographically, Greenland is part of the North American continent; geopolitically, the country is part of Europe, and nationally, Greenland is part of Denmark. Greenland ceased to be a Danish colony in 1953 when Greenlanders became equal citizens of the Kingdom of Denmark. In 1979 the country achieved Home Rule status and got its own parliament and its own flag. In 2009 a further step was taken towards independence. Unlike Denmark, Greenland is not a member of the European Union. Nuuk is the capital city with a population of about 15.000. It is the only town in Greenland with a light controlled pedestrian crossing and has the only roundabouts. Most vacation travelers come to Greenland for the rugged and impressive nature. but come away even richer after having made acquaintance with the people and got a real insight into a totally new world. Ittoqqortoormiit is a very small and isolated community with just under 500 inhabitants. Most people earn their living or supplement their earnings by subsistance hunting for seals, muskoxen and polar bears. For these people life has always evolved around hunting – in fact their very survival has depended on successful hunting. The East-Greenlanders of Ittoqqortoormiit are very friendly and sincere, but sometimes quite shy as they are not used to strangers. Alcohol is a problem as in many areas of the Arctic, but people are always friendly even if they may at times be slightly intoxicated.